This is a sponsored post on behalf of Squatty Potty. All opinions are my own. Potty training. It’s probably the most frustrating part of parenting that you’ll EVER deal with. You have to teach a toddler how to understand the signs that they need to use the bathroom. Yet, that very same toddler doesn’t even like to stop playing to eat lunch or FaceTime with grandma. It is a battle that has to be taken on. It is not one that I think of lightly either. Believe it or not there is a way to make potty training fun for everyone though. By now, you have to have seen the infamous video by Squatty Potty entitled “This Unicorn Changed the Way I Poop”. If you haven’t seen it then it is very likely that you’ve been on the potty training kick for some time and you need a break! With just over 139 million views (yes that says million!) it will have you grossed out and amused all at the same time. I’ve added the latest video from Squatty Potty for your viewing pleasure. So much of your time while potty training is spent feeling as if you just can’t win. Well, today I want you to start off with a laugh because you’re going to need to pass that attitude on to your child. 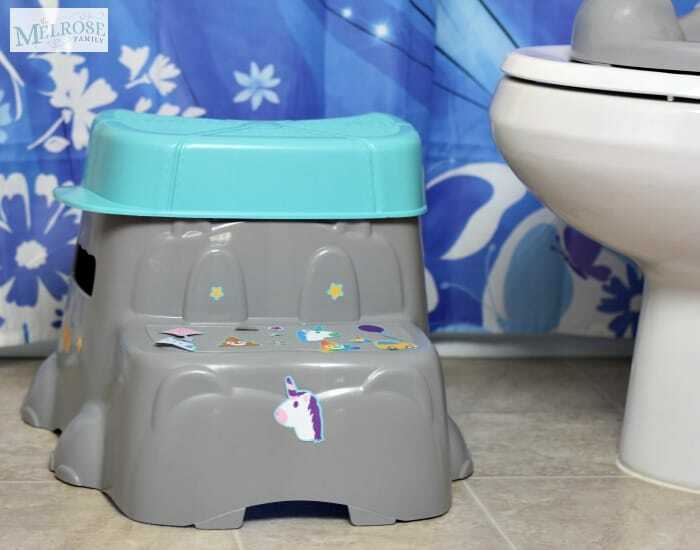 You need your child to see potty training as something fun. Not something that is pulling him away from his favorite red truck. One great way to accomplish this is with SquattyPottymus. 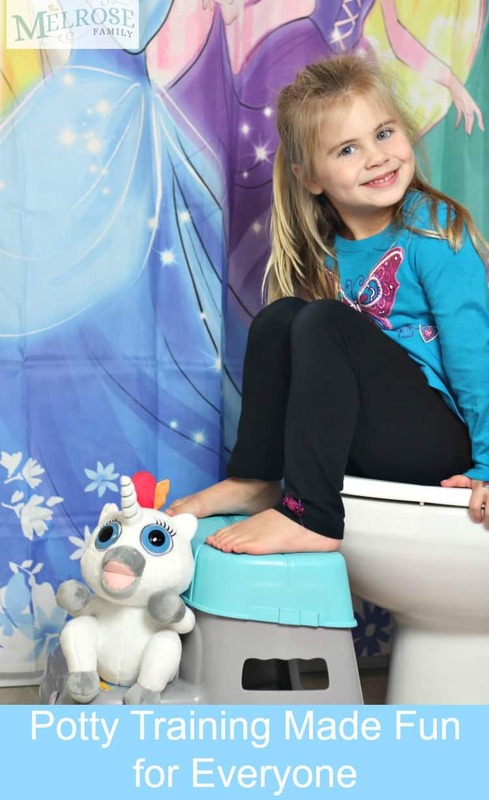 SquattyPottymus is a complete potty kit designed to grow with your child. Plus, it is designed to help your child get a natural, healthy squat that has made Squatty Potty famous. I cannot explain how difficult getting both of my daughters to poop was. One thought she was always going to fall into the potty and the other had painful bowel movements that only caused her to want to hold it in more, which of course made everything worse. SquattyPottymus not only makes that natural squat simpler, but the cute stickers that come with it, make it more like a toy than something my girls associate with the bathroom. My youngest daughter is potty trained already (she’s 4 so she’d better be, right? ), but she still loves pretending that her stuffed animals are real. 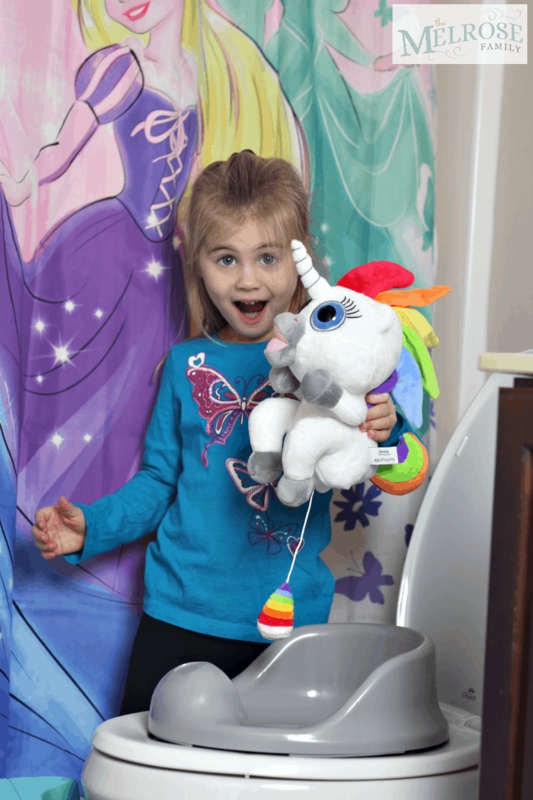 When I first showed her Dookie, the rainbow pooping unicorn she was thrilled. Not only does she love unicorns, but she loves rainbows. She about fell over when I showed her that Dookie could poop rainbows. She grabbed him from me and immediately needed to race off to the bathroom so he could go again. Later that day, Dookie had to go everywhere with us. My youngest wasn’t the only one who got a giggle out of the rainbow pooping unicorn either. She showed anyone that was willing to watch and they always just about fell over. It’s the perfect toy to show your child through play how potty training isn’t the worse thing ever. Dookie makes potty training fun. I mean, he’s a rainbow pooping unicorn, how is that not fun?! Plus, if you really want to get into the land of pretend. Be sure to grab some Unicorn Gold. It is a poo spray like nothing you’ve smelt before. You spray it into the water of the toilet prior to using it and it locks in the smell. 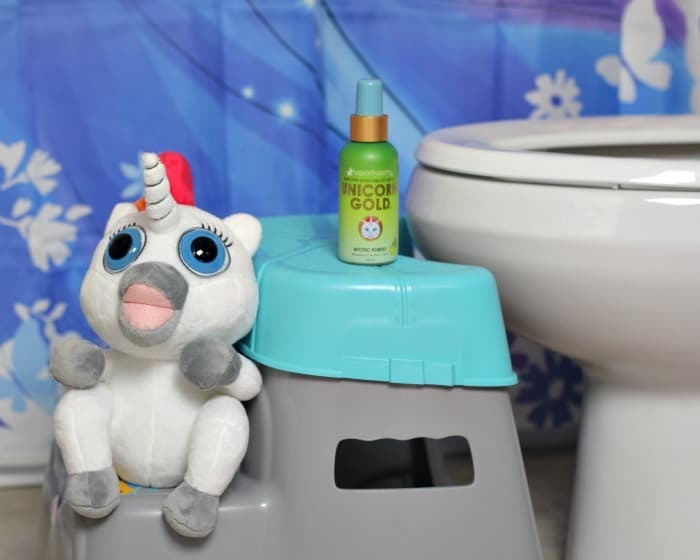 It’s the magic spray that gets the potty ready. Potty training is definitely a struggle, but if you can make it just a bit more fun for everyone, why wouldn’t you? Squatty Potty is the healthy way to squat in order to eliminate. Don’t make potty training a chore. Make it fun for everyone!